I admit, it was really not the perfect timing when we went on a trip to Camarines Norte. Itineraries have been changed - we missed some tourist spots in other words. Of the four days we stayed, the third day is the only one that we were blessed with sunshine the whole day getting our tan much darker in one of the most beautiful beaches in the Philippines I have ever seen. It's certified one of the Philippines' lesser known beaches located just 7-8 hours from Manila. 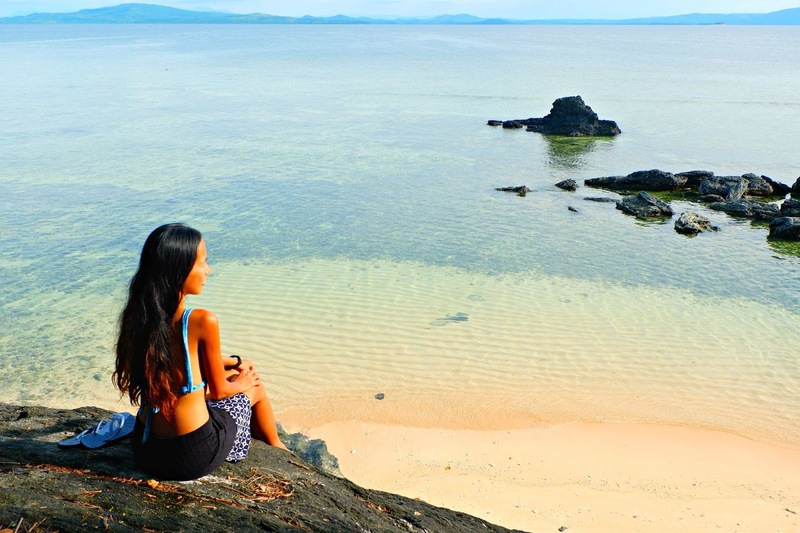 If not for this hidden beach paradise in the province of Bicol, we wouldn't have anything spectacular to write about! 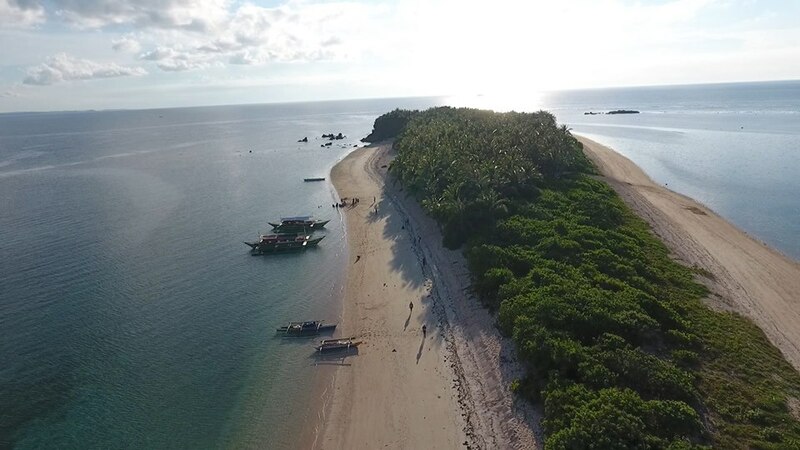 For someone who has been to lots of Philippines' best beaches including Palawan (El Nido, Puerto Princesa & Coron), Camarines Sur's Caramoan, Boracay, Dumaguete, Cebu and Siquijor, Parola Island is worth comparing to these famous beach destinations in the world. 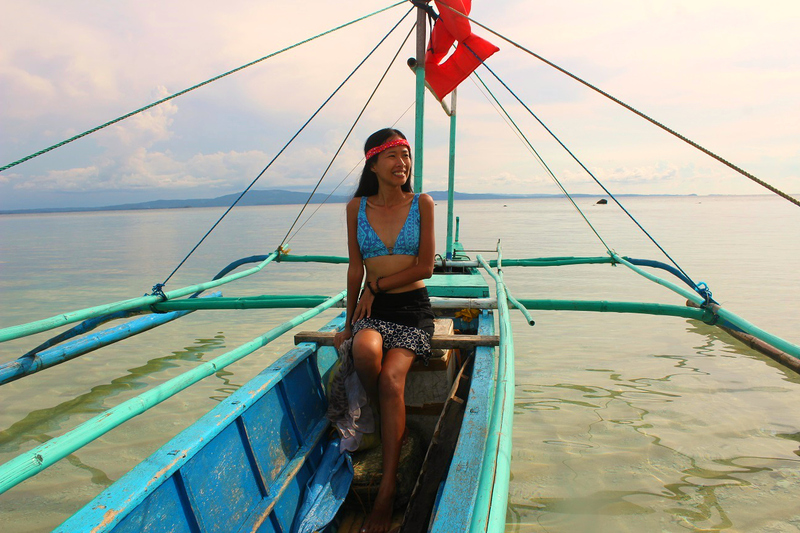 It only takes an hour of boat ride to get to the Parola Island in the town of Jose Panganiban. Given that short ride, I am honestly surprised that it remains a remote Philippine island which is pristine at its finest. From our boat's viewpoint, Parola Island in Jose Panganiban town looks like an elongated worm curled in fetus position. Its golden brown sand exudes from a distance. I quickly roam my eyes trying to find that old lighthouse (parola) which was named after this island but its nowhere to be find. This secret beach was formerly called Tailon Island and for some old boatmen who lived all their lives call it as "Tunao". I speak Sorsoganon dialect which is close to the Bicolano dialect of locals of Camarines Norte but I can't relate any Bicolano word for this. We docked safely within the next minutes. The waves are gentle near the shore which is a good indication that this could be added to the list of child-friendly beaches in the Philippines. 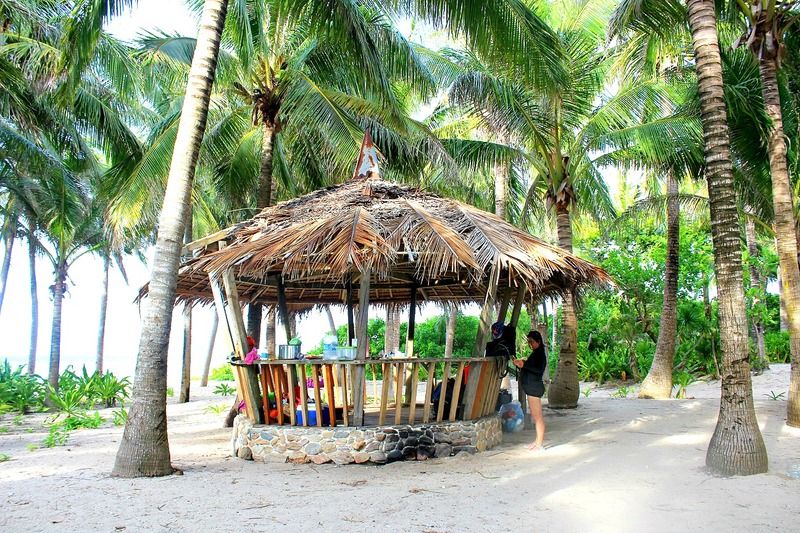 There are popular beaches I have been but those were not safe enough to leave your kids in tow but in Parola Island I think you can do so with supervision of course by the parents. The island is so slender that you can cross there's a shoreline from side to side. You can get to the other side and back for only 5 minute walk! The sand in Parola Island is powdery that when you walk on the wet part, your feet will submerge a bit. Hungry and tired, we went on to find the cottage for us. Only to find out, there's ONLY ONE wooden cottage without walls in this island. This is how so little known beach is this in the Philippines. If you opt to stay for a night which is completely fine, you'll have to bring a camping tent or sleep under the sight of billion stars. Any Instagram addicts can totally relate to me. To those who travel because of OOTD and awra shots, the rocks and rock formations at Parola Island is so damn awesome. Please be careful though because the rocks are hard and it is also slippery. It's not the ordinary type of rock, as you see. Again, please be very careful because some are located in the shallow water near the shore, some a bit far. Also please wear slippers because you may get hurt of the texture of these stones. Out of the 12 persons in our group, only one brought his snorkelling gear. 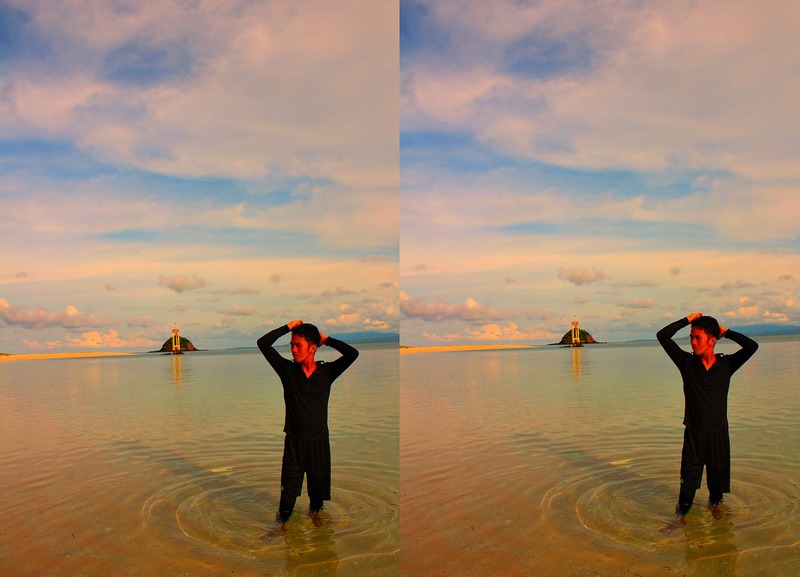 Thus, he is the only one who was able to snorkel in the beach of Parola Island at its finest. I envy him to the moon and back! No photo of him so I will have my photo posted here instead. What's an island without those iconic coconut trees? In Parola beach of Jose Panganiban coconuts are lined up properly even almost same height! I was reminded of the Apuao Pequeña grande of Mercedes town in Camarines Norte too. Instead, it's dotted with tall, pine trees. 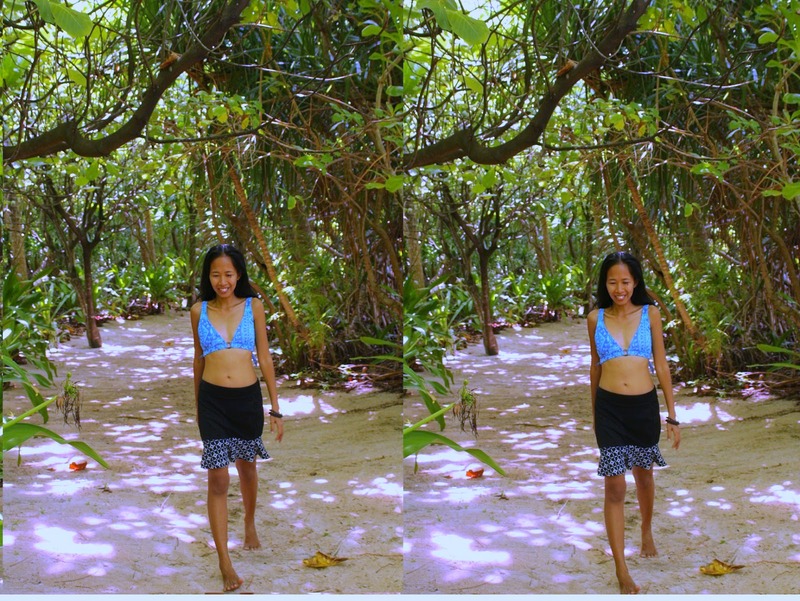 Both are less known islands in Camarines Norte that both a paradise to me. Parola beach of Panganiban in Bicol is in a raw stage. No posh amenities whatsoever yet. here. There's no bathroom or toilet so for us ladies who wanted to change our swimming attire, took refuge under these tunnel - like pathway. Behind these trees while looking around all the time if someone is passing by, we did it quick! See, primadonnas and sosyalera's aren't welcome here in Parola beach of Camarines Norte! I know this sounds like no big deal but hey in Parola beach of Camarines Norte, you can catch some fish without needing some fishing rod or get on the boat and sail further! To give you an example, we saw a woman who was standing still at the shore. We came near her. She was throwing a makeshift fishing rod (without the stick) plus a bait at the end to the open sea as far as she can. You know what after a few minutes, she slowly pulls back the rope and voila, there's a wiggling live fish! We even see a few more she just caught previously also fighting for their lives lying on the sand. 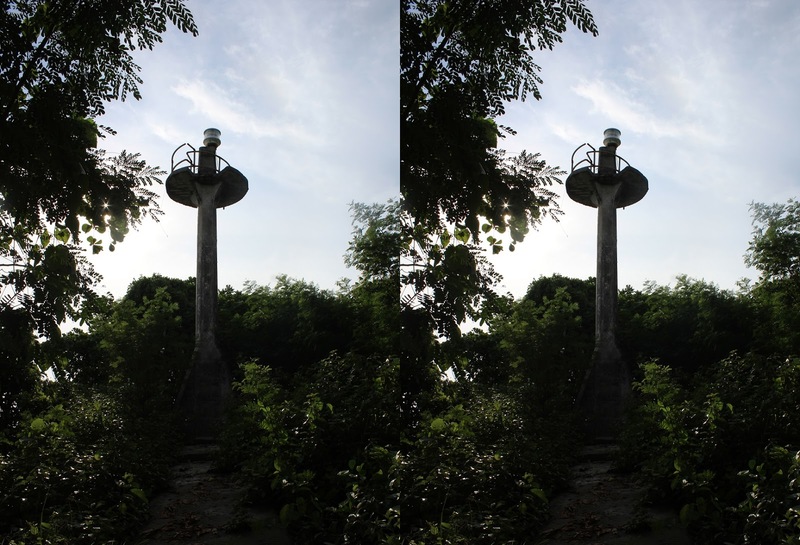 What would be a trip to the Parola Island without seeing the parola itself? Located at the very end of the island, this lighthouse is for me is just as tall as an electricity post in the metro. It's obvioiusly decaying, old and not functioning anymore. I will be more than happy to share you its history once I have it in hand. It's located a few steps to the vantage point where you can see the part of the island that has pinkish sand. 7. Don't be mistaken, this yellow tower standing on the beach shore is a tsunami warning device. Seriously, I thought this is the parola because this is the one that you'll first see while on the boat and approaching the island. It's worth taking picture though, look at this guy below. Before going there: Expect to live without all the basic necessities you have at home. NO electricity, drinking water from the faucet, rooms to sleep, a place to change clothes, comfortable and clean comfort room (there's one at the very end of the island near the lighthouse, but it is dirty). This is a private island. They only limit 200 maximum of guests per day. Going there: Bring all you need: food, water, medicines, camping tent, hammock airbed et cetera. Though I did not experienced any, you can bring nsect repellant lotions and sun protection. Note: This is a media trip sponsored by the Provincial Tourism of Camarines Norte including the Local Tourism Offices of the towns we visited. This was organized by Mike Zuñiga of Katooga.ph to promote the #ComeToCamNorte Campaign. All opinions are mine, as always.